What Is The 'Best' Evidence God Created? Cedar Park Christian School, Mountlake Terrace WA. Audiences across the globe have been thrilled with this colorful, eye-catching presentation on some of the most astounding evidences of God's handiwork. The talk builds to an unforgettable conclusion! Do you know what the 'Best Evidence' is that God created? Download student workbook of talk. Carl Kerby's passion is to proclaim the authority and accuracy of the Bible and to engage the minds and hearts of believers and unbelievers so that they may experience the realities of the Word of God. Whether Carl speaks to youth or adults, large or small crowds, at churches or schools, he has a way of connecting and engaging with everyone. From all ages, all walks of life and wherever they are on their faith journey, Carl reaches people with biblical truths, providing knowledge and reasons why we can trust God and His Word. Carl is a much sought-after speaker, both in the U.S. and abroad. He has spoken in Bermuda, Canada, England, Greece, Israel, Jamaica, Japan, Mexico, the Philippines, Tanzania and Wales. 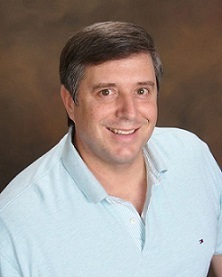 As a founding Board Member of Answers in Genesis, Carl served there for more than 15 years before co-founding the apologetics ministry, Reasons for Hope (http://www.rforh.com/). This seminar was recorded during our 2014 Seattle Creation Conference at Woodin Valley Baptist Church in Bothell Washington. The NW Creation Network organizes numerous educational programs each year, which feature presentations by speakers, scientists, and authors who are dedicated to defending the Bible and the Christian worldview. These events are open to all Bible believers and free to attend.